Tuesday 15 May 2018 — On 15 May 1993, 25 years ago, VLM operated its first scheduled flight from Antwerp to London City Airport. 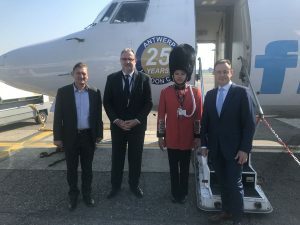 This morning the 25th anniversary of the route was celebrated at London City Airport in the presence of a delegation of VLM and management and staff of the airport. 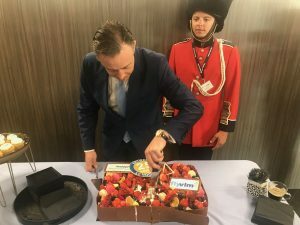 All passengers on the London City Airport- Antwerp route today were offered a special “25 years Antwerp-London City” box with delicious chocolates from the famous Antwerp master chocolate maker Erik Goossens. 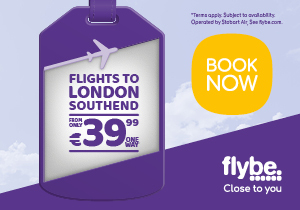 From 1993 to 2008 VLM operated flights on the route between Antwerp and London’s airport in the eastern part of the London Docklands. In 2008, CityJet took over the route. Last year, CityJet announced that it would discontinue its activities on the route. As a result, VLM decided to fly the historic route again from 30th October 2017, to ensure continuity on this very important business route between Antwerp and the British capital.